The sleek yacht-like MY Klara is ready to make her maiden voyage during the 2019 cruising season. The modern 62 m vessel boasts a wealth of contemporary design features, state-of-the-art equipment and first-class safety standards. 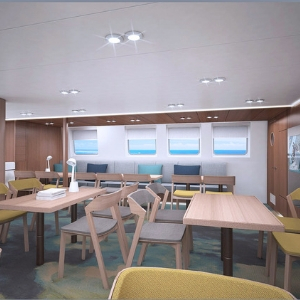 The 18 spacious, air-conditioned cabins are arranged over the main and lower decks and offer flexible bedding configurations for up to 36 guests. 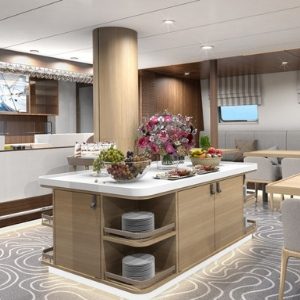 The ship’s public areas are equally expansive and furnished with chic designer touches. There is a salon-restaurant, a bar with outdoor lounge and a large sun deck with Jacuzzi. A swimming platform on the stern offers direct access to the sea. The MY Klara is a modern deluxe cruiser boasting elegant and sleek yacht-like lines and luxurious features. The 62 m vessel makes her maiden voyage in 2019. On board, guests can relax in supremely comfortable and spacious cabins that are well equipped with the latest amenities and a private en suite bathroom. The salon-restaurant caters to all guests in a single sitting and provides stunning scenic views. There is also a bar with expansive outdoor lounge that is ideal for alfresco entertaining. The large sun deck features sun loungers and deck chairs, and a Jacuzzi. 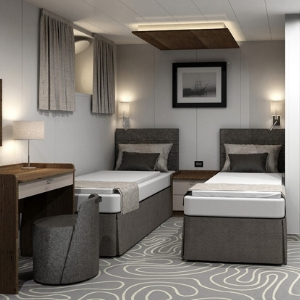 Arranged over two decks, the standard twin and double cabins provide a spacious and relaxing environment with flexible bedding configurations. All of the cabins are air-conditioned and feature a private en suite bathroom with shower, flat-screen LCD TV, wardrobe, desk, in-room safe, hairdryer and a selection of complementary toiletries. Ocean views are available from the windows or portholes. 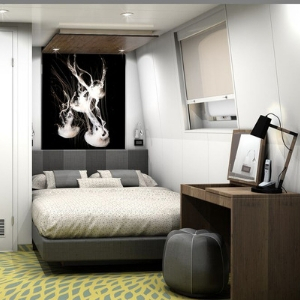 The cabins are beautifully appointed and include chic designer elements and a tastefully neutral palette of colours. 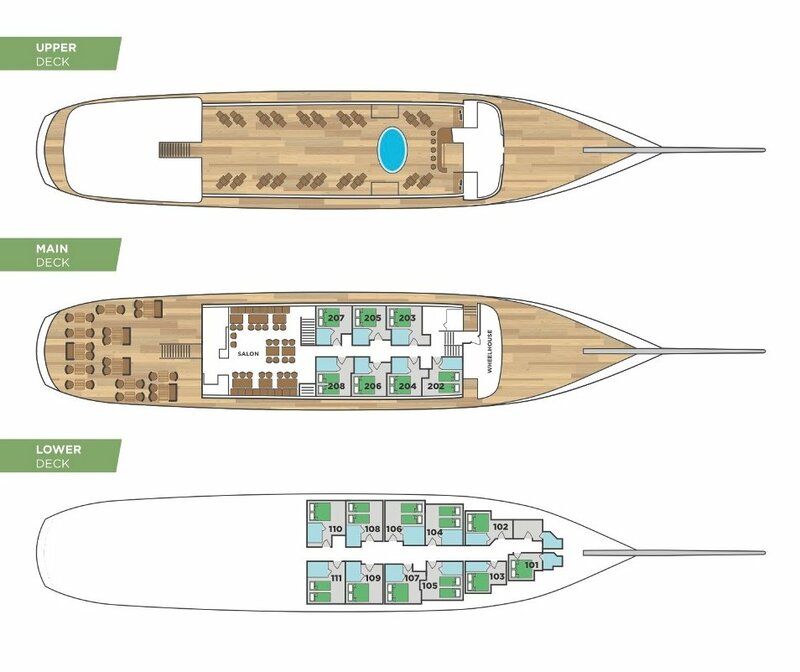 When not relaxing in the cabin, guests can opt to socialise in the expansive public areas of the MY Klara. The large sun deck boasts a Jacuzzi and plenty of sun loungers and deck chairs for everyone. Make the most of the scheduled swim stops by accessing the warm turquoise sea via the swimming platform located at the ship’s rear. The indoor bar extends out and into an alfresco lounge area that is furnished with comfortable sofas. During breakfast and half-board meals, all guests are easily catered for in a single sitting in the elegant air-conditioned salon-restaurant.